We're sarongs factory in Bali Indonesia. We're producer and exporter company located in Denpasar Bali, not far from the heart of Bali tourism, Kuta and Seminyak Bali. 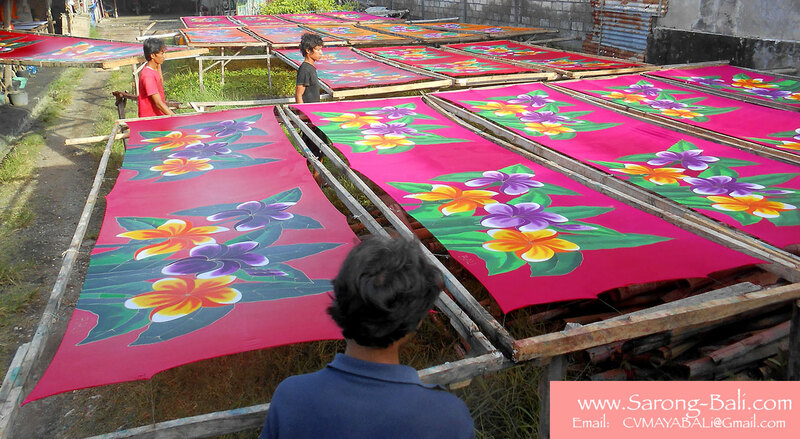 Our sarong factory produce various kinds of sarongs pareo according to our buyers demand. All kind of Bali sarongs but mostly the hand painted sarongs with special design suitable for tropical islands such as Tahiti, Hawaii, Jamaica, Maldives, Bahamas and many other tropical beach around the world.